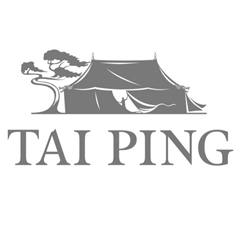 Tai Ping, designer and manufacturer of custom carpets and rugs for luxury yachts. We have a dedicated team of yacht ambassadors based around the world, meaning we can work and connect efficiently with the entire yachting community, regardless of location. Recent projects: SY A, SY Black Pearl, MY Dilbar, MY Ulysses, MY Amadea, MY Aquarius, MY Faith, MY Aurora, MY Samaya, MY Hasna, MY Aquila, MY Seasense, MY Harmony, MY New Hampshire, MY Sea&Us, MY New Secret, MY Lili, MY Driftwood, MY Elsea, MY Unasola and MY Mr Loui. Numerous design brands and high-profile companies from across the globe are supporting SuperyachtDESIGN Week this year. SuperyachtDESIGN Week welcomes partners Christopher Peacock, J. Robert Scott, Summit and Tai Ping Carpets. The Design Centre, Chelsea Harbour hosted just under 100 design professionals last night for the SuperyachtDESIGN Week preview evening. We catch up with Catherine Vergez, MD of Tai Ping Carpets at Design Centre, Chelsea Harbour’s recent Twinkle of Christmas party. With her gunmetal grey hull, black superstructure, tinted glazing and military exterior styling by Nuvolari Lenard, CRN’s Atlante cut a formidable figure in Monaco. SuperyachtDESIGN Week will see 20 interactive workshops across three days. A vital part of the programme, explore what’s on offer next week. SuperyachtDESIGN Week will host celebrated superyacht designers over the course of three days, providing an intimate arena to discuss their work and share their expertise. SuperyachtDesign editor Andrew Johansson has revealed his 20 must-see items during SuperyachtDESIGN Week 2015! SuperyachtDesign Editor, Andrew Johansson, toured the Design Centre, Chelsea Harbour to decide this year’s SuperyachtDESIGN Week Editor’s Picks. The hugely successful event welcomes back Awlgrip as a gold partner and showroom partners J. Robert Scott and Tai Ping Carpets.